A Journey to Discover a Brand New Me. "I want to visit countries I've never seen." "I want to connect with different cultures." Acquiring a new language can make those wishes come true. English is like a vehicle that will take you anywhere. Step on board, and then let it take you to your destination. When you arrive, we think you'll find the true meaning of learning English. How will you think on the other side of the ocean, in international society, surrounded by all sorts of values? What will you gain? How will you change? A brand new you, one you've never seen, is waiting for you. The students who appear here have also studied English and encountered new versions of themselves. Their journeys are far from over. To discover a brand new me. We hope this place will mark the beginning of a wonderful journey for you. Copyright(c)Kinjo Gakuin University. All right reserved. From across the world, people and cultures come together. That's the America in which I spent a year studying abroad. I came back with better English and a spirit of independence. If I'm going to study for four years, I want to give it everything I've got. I've thought so since even before I entered school, so studying abroad has since been one of my goals. In my second year, for roughly one year, I set off on a long-term overseas study. 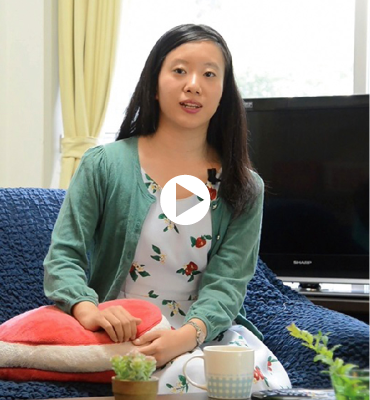 During that time I experienced dorm life, a homestay, various university courses, and interaction with students from all over the world, I also felt the touch of English, and got back everything that I put in. Now, I'm learning high-level English in an English specialist training program. By the time I graduate, I aim to push my TOEIC score into the 900s. And in the future, I'd like to use my English ability in a line of work that helps people. The airline industry of my childhood dreams. It's here that I not only achieved my aspirations, but found the power to shine as a woman in society. In elementary school, I made it my goal to enter the Kinjo Gakuin University Airline Program. 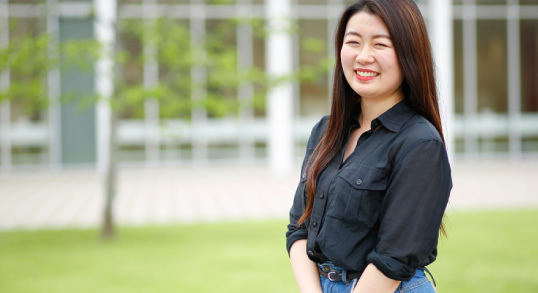 After entering university, since I planned to study abroad in my second year, I maxed out my required subjects and filled every day from the first day of school with English study, turning my efforts toward studying abroad in England. I started the Airline Program after returning home from my study abroad. Not surprisingly, I've been doing specialized airline industry studies, and the breadth of my education is vast. I truly feel that the improvements I've made in my personal approach will come in handy not only in the airline world, but also in everyday life. It's not studying English - it's studying IN English. I'm not studying grammar - I'm studying how to USE grammar. That's how I'm learning to communicate. As English was my major subject in high school, I chose English in my higher education as well to cultivate my English ability for better communication. These days, I'm enrolled in English seminars and have been writing English essays. 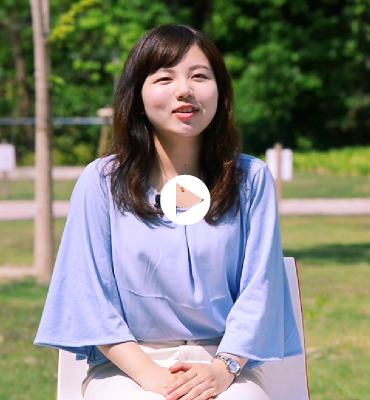 I've not only sharpened my communication skills through studying English, I've also discovered a new dream for the future – to someday participate in educational support overseas. When I went to Cambodia for KIT (all-member overseas training), I was touched by the condition of poverty in the country, and felt as if there was some way I could lend a hand. I believe that education can change the future of children. the quality of your communication changes. It's something common to the world, and it's the reason I want to master so many world languages. I'd like to study many languages. That's why I chose this major. Almost every day, I study English and Chinese, and although they keep me busy, I truly feel that I'm learning so much. Plus, during my study abroad to America in my second year, I became friends with an exchange student from South America（Colombia and Venezuela）, and now I'm studying Spanish independently. I've experienced multiple cultures through the study of various languages, and I feel as if I can grasp things in a more multifaceted way. 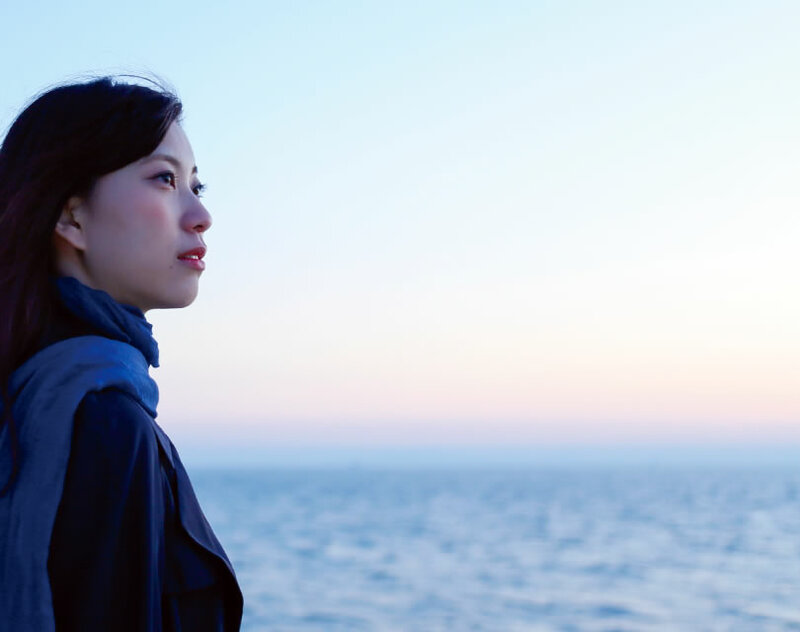 In the future, I'd like to work in a job in which I interact with people from all over. By working with people, I seek to study my hardest and continue to grow. 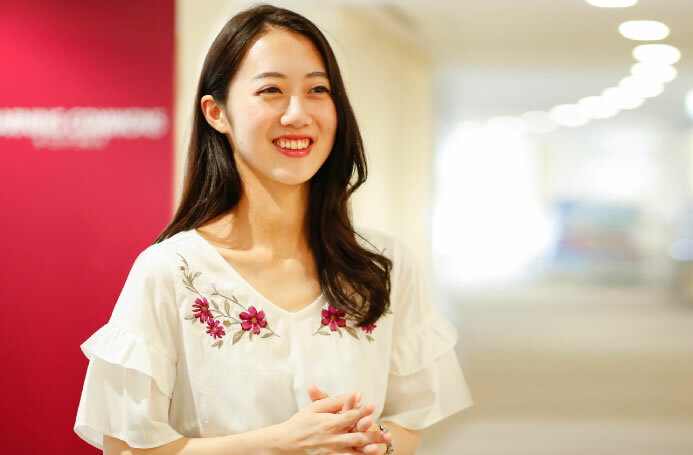 With influence from her parents who were engaged in work reguiring English, Ms. Terazawa developed an interest in getting involved with overseas businesses. During her sophomore year, she studied at Highline College in Seattle for one year for an approved study abroad program. 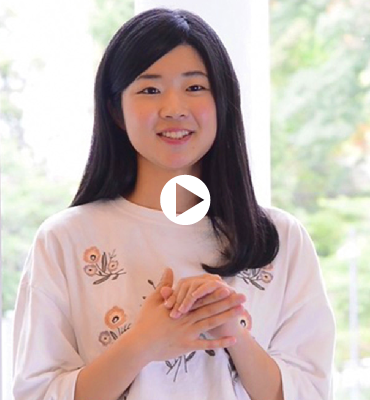 After returning to Japan, Ms. Terazawa obtained skills in interpretation and translation. my dedication will always be appreciated. When I entered college, I wanted to learn multiple languages so I chose English and German. Then, I decided to master English and studied in America for one year when I was a sophomore. During my early days in America, I was so lonely and wanted to give up. After struggling and questioning myself, I came to realize that nothing will change unless I take a proactive step. The opportunity to change myself came when I had to make a 10-minute speech in my Communication class. I had to memorize the entire speech and had to express my feelings effectively during my appeal. I took several weeks to edit my speech and repeatedly practiced in front of my host family. When I was finally content with my speech, self-confidence rose inside of me. On the day of the speech, I felt relaxed and was even able to enjoy it. After the speech, my classmates began to talk to me more. I realized that everyone wanted to know and understand me better. As long as I sense what others are looking for and respond to their expectations, I can communicate with them. I learned this during my stay in America. Currently, I am in charge of the business affairs for new car projects overseas. 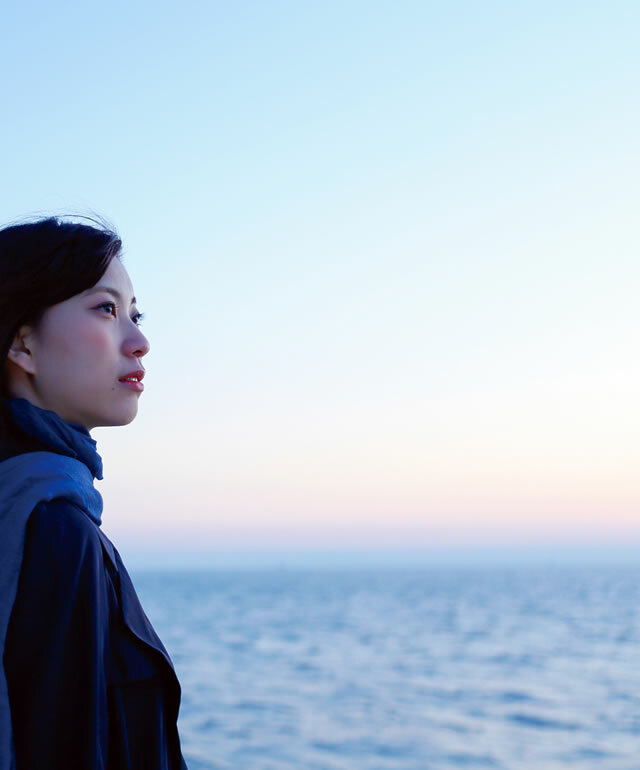 I always think how I can help the staff in Japan and abroad work smoothly. When translating documents, I edit them over and over again in order to communicate the author's intension in an easy-to-understand manner. Technical knowledge is indispensable for this work. Giving my best for others - I believe this work ethic will help me improve myself. My dream since my middle school days has been to make contributions to make the world a better place. I still remember what my host father once said, "I like Toyota, and I will continue to drive this car". What I am doing now connects me to the life of people in the world. This thought propels me to continue to work hard. 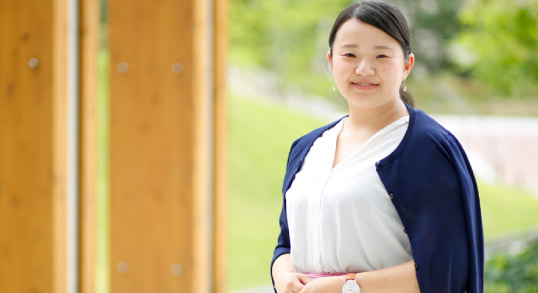 Ms. Kojima studied at West Virginia University for one year as an exchange student during her sophomore year. 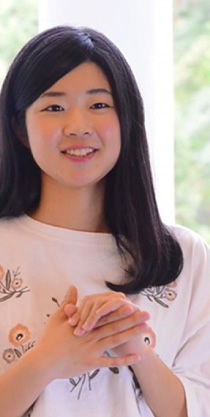 She entered Citibank Japan after obtaining an MA degree from Kinjo Gakuin University. 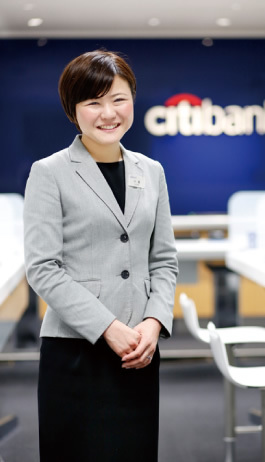 Currently, Ms. Kojima provides advice for asset management to retail customers. She got married last fall. English is like my wings. Where to fly is up to me. At West Virginia University in the U.S., I took classes in business and history with other American students. I could not do well in debates no matter how hard I tried. Native speakers could do much better than me. However, I thought I could do a better job on paper test because I was pretty good at writing and reading. So, I studied very hard. As a result, I got straight A+ and became the top student in my class. When people asked me what my major was, I could not just say "English" because I knew that English is just a tool. The important thing is how I use the tool to learn and to achieve my goals. After studying in the U.S., I was able to score over 900 in the TOEIC test. I was proud of my score, but moreover, the experience I went through gave me confidence. It made me think I could do anything. "What do I want to do in the future?" I could not find an answer to this question even after I started job hunting. So, I decided to pursue more academics and entered graduate school, thinking that I would never have a chance to devote myself to learning later in my life. Through study of simultaneous interpreting, I learned the skills to find out people's needs promptly, and to express my thoughts accurately. These skills became my strengths. 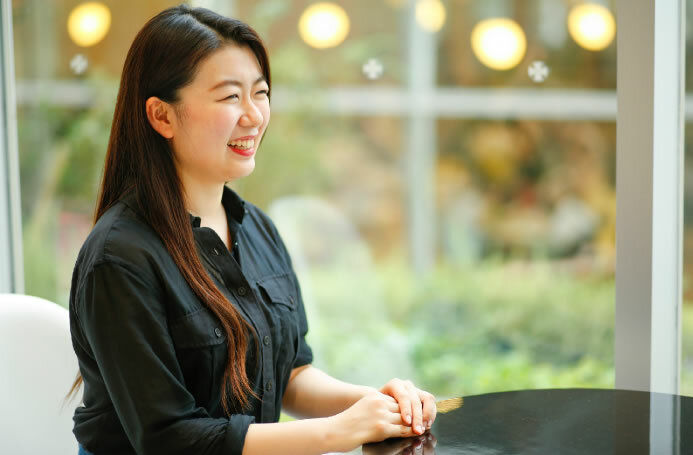 Whether I am working with foreign customers or Japanese customers, the communication skills I learned at school is helping me a lot at work now. Since financial products are not tangible, and there are no answers in the market, building relationship with customers is very important. In my job, my expertise and English ability are like my wings. The important thing is where I set my goals, and how I use them to achieve my goals. I feel propelled to try harder when I hear my customers say "I am glad I consulted with you". Once something sparks my interest, nothing can stop me. In this sense, I have not changed a bit since my school days. 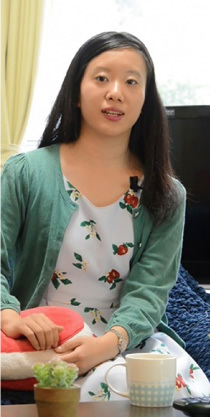 Ms. Takeuchi entered Kinjo Gakuin because her mother is also an alumna. She is applying the knowledge and skills she learned from her seminar in college where "Communication" was the main theme. 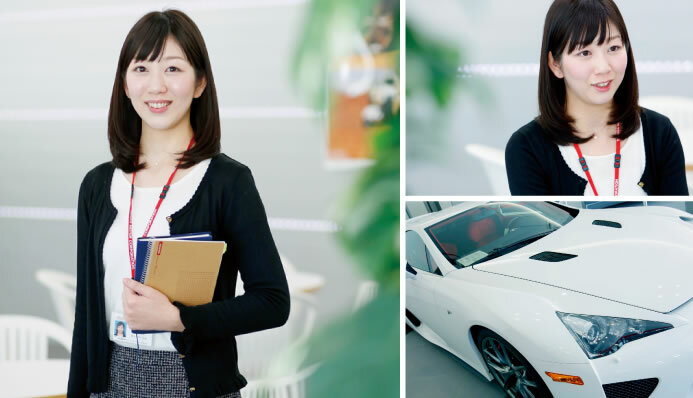 Ms. Takeuchi creates a comfortable and pleasurable atmosphere for customers to open up and talk by showing interest in their work and hobbies. Each happy encounter I had led me where I am today. I have always loved animals since childhood and wanted to be involved in work to protect endangered species overseas. Since English ability is essential for such work, I chose Kinjo Gakuin to learn foreign languages. Classes taught by native speaking teachers were refreshing and fun. In these classes, I not only learned grammar and syntax but gained flexible communication skills to use English to learn about others and to have others know about me. Then, I had an encounter that determined my destiny when I was a sophomore. It was a class where alumnae would come and talk about their work. I was moved when an alumna who was working as a wedding coordinator said, "every process of a wedding ceremony and reception has a story". She was very energetic, beautiful, and had a commanding air. 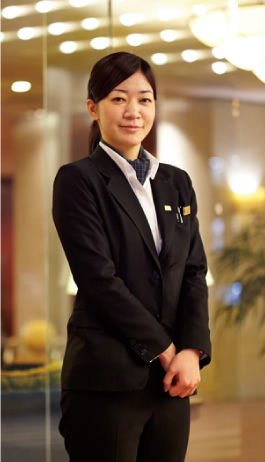 I wished to be like her and so I chose to work at a hotel. 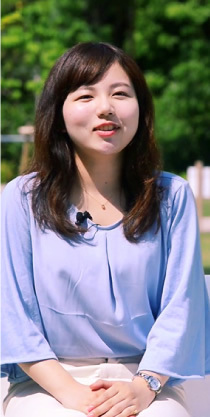 I have developed skills to enjoy communicating with others from different countries and met an alumna whom I can respect as a role model. The four years I spent at Kinjo taught me how to lead my own life. 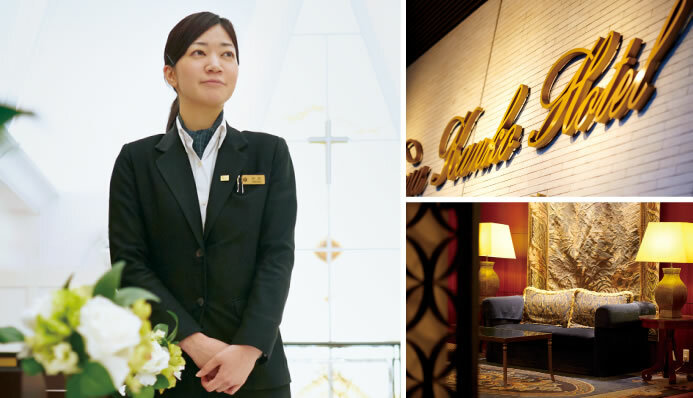 After entering the hotel, I worked at the front desk for 18 months. Many guests came: first time visitors, those who know a lot about the history of our hotel, and foreign visitors. I was thrilled to meet each of these different guests. Then, I was transferred to the wedding section that I had longed for. When I see the newly-wed couple that I had helped take off on their most joyous day, I almost cry as though I were their mother. I have helped over 100 couples, and many of them would come and visit us after the wedding, and our good relations continue that way. Having been led by such happy encounters, I came to be where I am now. I feel very fortunate. 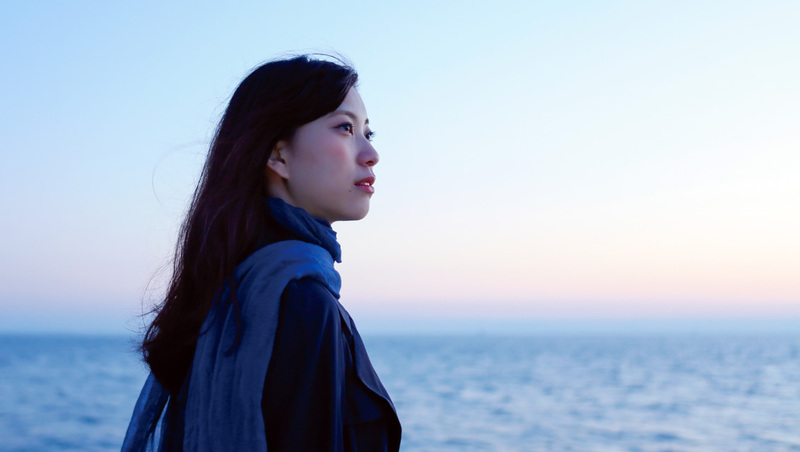 She entered a foreign airline company in order to live overseas as a young professional and accumulate rich experiences. 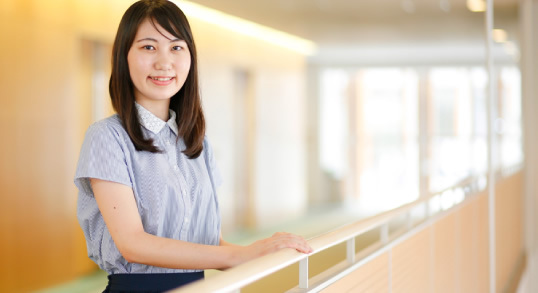 While still in university, Ms. Kawase experienced on-site trainings at the airports through the Airline Service Career Program. She spent a valuable four years with peers who shared the same dreams in a mutually empowering environment. How would I change and grow in the future? Just the thought of it excites me. Ever since I can remember, I have had plenty of opportunities to spend time with foreigners because of my father's business. Thanks to this environment, I learned the joy of interacting with people who speak different languages. Then, my experience while studying abroad during high school led me to desire to become an airline cabin attendant. When I was feeling a bit nervous on the plane, I was impressed by the care the cabin attendants showed me. I felt that this would be a wonderful job to have. Therefore, I decided to enter Kinjo Gakuin, which offers a great Airline Service Career Program. 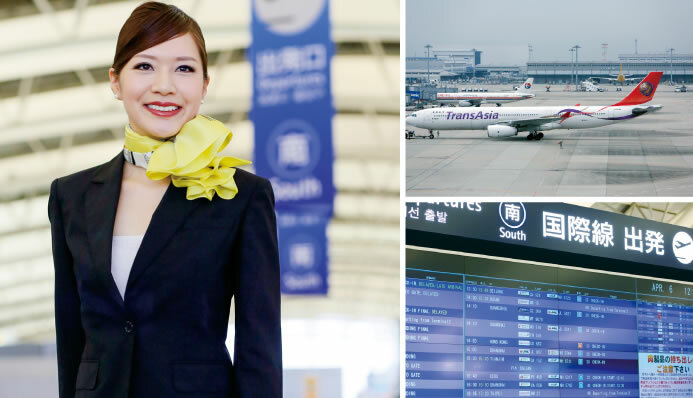 Through the interview practices of the Airline Service Career Program, I grew increasingly aware of myself as to what I was thinking and how I would express my thoughts in English. This self-awareness has served as my solid "axis" for life. 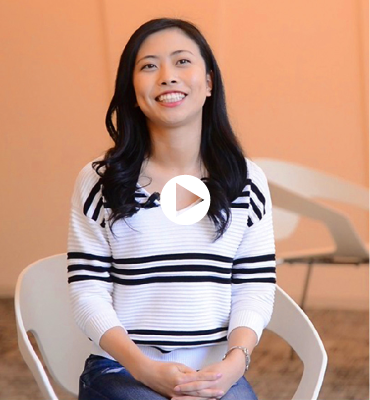 When I first joined the company, every day was a challenge with specialized knowledge and English tests. Moreover, I had a hard time getting used to my life in Singapore as I had never lived there before and I had to familiarize myself with a different culture. Then, I would recall the time I spent with people from other countries. "What would I want the others to do for me?" I learned that if I put myself in the shoes of others and face the situation in that way, we can definitely understand each other. Also, the words of wisdom my seniors gave me during my job search continue to inspire me even to this day: "Enjoy the conversation during job interviews as if you were talking to the person you have a crush on and try to make him like you". I think this is also true when I interact with various guests from different countries. I hope to improve myself through this profession. And, no matter how old I become, I always hope to challenge something new and continue to grow. English will be my good partner forever. How would I change and grow in the future? Just the thought of it excites me.